The Somali pirates attacking shipping in the Gulf of Aden and Indian Ocean are directed to their targets by a "consultant" team in London, according to a European military intelligence document obtained by a Spanish radio station. The document, obtained by Cadena SER radio, says the team and the pirates remain in contact by satellite telephone. It says that pirate groups have "well-placed informers" in London who are in regular contact with control centres in Somalia where decisions on which vessels to attack are made. These London-based "consultants" help the pirates select targets, providing information on the ships' cargoes and courses. In at least one case the pirates have remained in contact with their London informants from the hijacked ship, according to one targeted shipping company. The pirates' information network extends to Yemen, Dubai and the Suez canal. The intelligence report is understood to have been issued to European navies. "The information that merchant ships sailing through the area volunteer to various international organisations is ending up in the pirates' hands," Cadena SER reported the report as saying. This enables the more organised pirate groups to study their targets in advance, even spending several days training teams for specific hijacks. Senior pirates then join the vessel once it has been sailed close to Somalia. 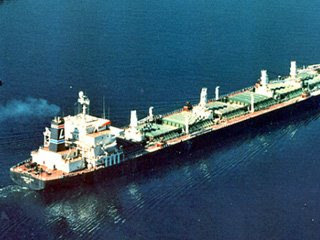 Captains of attacked ships have found that pirates know everything from the layout of the vessel to its ports of call. Vessels targeted as a result of this kind of intelligence included the Greek cargo ship Titan, the Turkish merchant ship Karagol and the Spanish trawler Felipe Ruano. In each case, says the document, the pirates had full knowledge of the cargo, nationality and course of the vessel. The national flag of a ship is also taken into account when choosing a target, with British vessels being increasingly avoided, according to the report. It was not clear whether this was because pirates did not want to draw the attention of British police to their information sources in London. European countries have set up Operation Atalanta to co-ordinate their military efforts in the area.